Peggy Ann Lawing McBrayer, age 87, of Rutherfordton, NC, died Monday, March 25, 2019, at Hospice House of the Carolina Foothills in Forest City, NC. She was the daughter of late the A.O. Lawing and the late Nelle Scruggs Lawing and was a native of Belmont, N. C. Peggy was the widow of the late Dr. William Fisher McBrayer Sr. Peggy was an active member of First United Methodist Church of Rutherfordton where she taught Sunday School and was on countless church committees. She graduated Belmont High School class of 1949. She attended Woman's College in Greensboro for two years and transferred to University of Tennessee, Knoxville where she graduated in 1953 with a Bachelor of Arts degree in Sociology. Peggy married William F. McBrayer Sr. in Belmont, August 13, 1955. Peggy and Bill had two children. 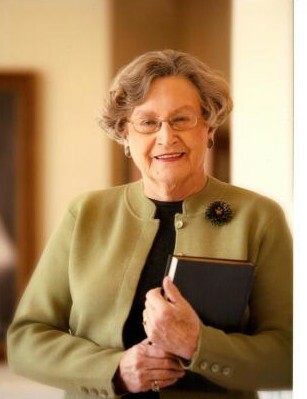 She was a loving wife , mother, grandmother and friend to all. After graduation she began work as a Social Worker for the Rutherford County Department of Social Services. She later worked with Bill at his dental office for many years. Peggy was involved in the Rutherfordton Community as a member of the Rutherfordton Garden Club, American Red Cross, Meals on Wheels, Girl Scout leader, Pioneer Council board member, N. C. Department of Resources, Social Services Commission, reading volunteer at Rutherfordton Elementary School, Substitute teacher, Domicilliary Rest Home Board, Rutherford County Zoning Commission and a member of various womens golf associations. Peggy's hobbies and passions were; grandchildren, golf, gardening, hiking, travel and Lake Lure. William F. McBrayer Jr. and his wife Milena of Rutherfordton. Drew Lawing and his wife Nicole. Arnold Lawing and his wife Vicki. Five Grandchildren: Kate Koken, Anna Koken, William F. McBrayer III, Matthew A. McBrayer and Allison McBrayer. The family will receive friends from 5:30 PM to 7:30 PM, Friday, March 29, 2019 at McMahan's Funeral Home. The Memorial Service will be at First United Methodist Church, Rutherfordton at 11:00 AM, Saturday, March 30, 2019 with Reverend Dr. Sydnor Thompson officiating. Interment will be private. In lieu of flowers memorials may be made to First United Methodist Church; 264 North Main St..; Rutherfordton, NC 28139 or Hospice of the Carolina Foothills; P O Box 336; Forest City, NC 28043. Online guest register at www.mcmahansfuneralhome.com. McMahan's Funeral Home & Cremation Services in charge of arrangements.